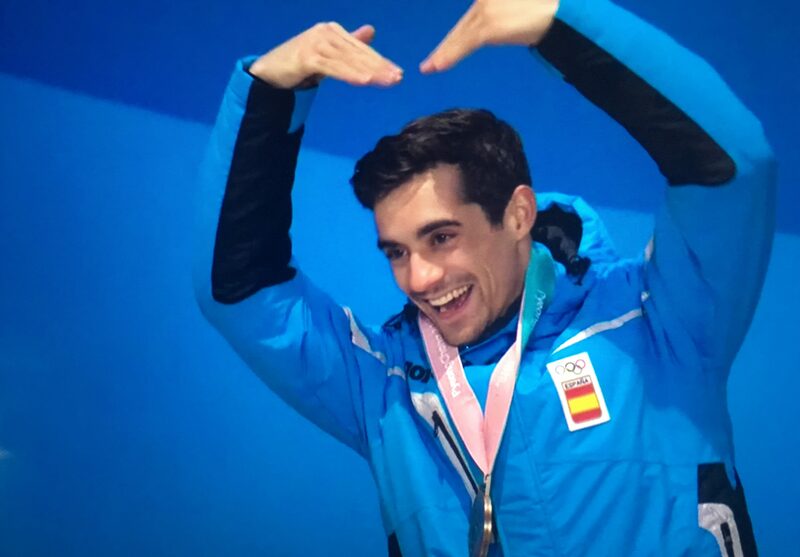 Spanish figure skater Javier Fernandez nails aegyo (애교) in this sweet photo of him receiving the bronze medal at the 2018 Winter Olympics. He definitely has the looks to be a K-pop idol and now the moves, too! There’s more sweets for the sweet at The Daily Post.